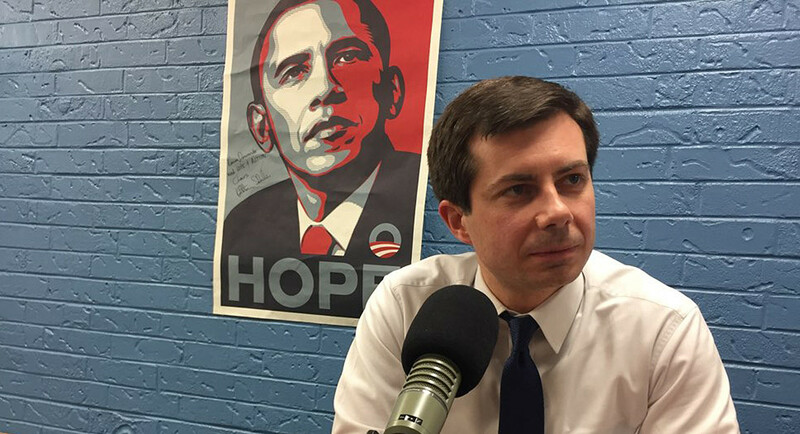 On Sunday, writing for the Washington Post, Bob Moser profiled a candidate who's not really a candidate, South Bend, Indiana Mayor Pete Buttigieg, asking, Could Pete Buttigieg Become the First Millennial President?. Moser could have asked-- as Frank Bruni once did, enthusiastically-- if he could be the first gay president. The Constitution stipulates you have to be at least 35 to serve as president. Pete turned 37 on Saturday. He became mayor of South Bend, Indiana at 29. His name is difficult to pronounce. It's BOO'-tah-juhj but you probably won't need to remember it... at least not for 2020. His case is that voters want fresh faces. Even if that were the case, there's Beto (first EMO/skateboarder president), Tulsi (first Hawaiian/Hindu president), Julian (first Latino president) and Eric Swalwell (first MSNBC-created president). Johnson and Moser are enthusiastic about their subject. They wrote that "'normal' and 'regular' are not adjectives that apply to the son of a Maltese immigrant father and an Army brat mom who grew up in decaying South Bend, got himself into Harvard, summer-interned for Ted Kennedy, worked for John Kerry’s presidential campaign, won a Rhodes Scholarship, learned Arabic in Tunisia, landed a jet-setting consultant’s job, left it to return to his beat-up hometown and become the youngest mayor of a midsize U.S. city, transformed that city into a national model of renewal, and then-- deep breath-- volunteered for active duty in Afghanistan while serving as mayor, came out as gay in the local newspaper, married a schoolteacher live on YouTube, turned heads in a dark-horse bid to lead the Democratic National Committee, and had the New York Times’ Frank Bruni gushing about him as potentially the 'First Gay President'-- all by age 36... [H]e'll be running as the herald of a new generation." South Bend is St Joseph's county seat, a Democratic city and Democratic county in a Republican state. Last year Trumpist-Republican Mike Braun ousted Democrat Joe Donnelly in the Indiana Senate race 51.0-45.1%. But St Joseph County was one the 9 Donnelly won (out of Indiana's 92). The final result in the county was 53,758 (57.6%) to 36,456 (39.1%). In the IN-02 congressional race, incumbent Republican Jackie Walorski won by almost 10 points but she lost St Joseph County in a rout. Back in 2016 Bernie won the primary against Hillary 52.8-47.2%, The general was a dead heat with Hillary edging Trump in that county-- one of only 4 she won statewide-- 47.7% to 47.5%. Ask anyone who isn't a deranged Hillary dead-ender in South Bend; they tell you Bernie would have beaten Trump hands down. On the same ballot where Hillary scraped by 0.2%, Democrat John Gregg beat Republican Eric Holcomb in the gubernatorial race, 52.5-44.4%. By the way, the "herald of a new generation" didn't endorse Bernie in the 2016 primary. Millennials became the country’s largest voting-age cohort in 2018, displacing baby boomers-- and their politics break sharply with their parents’ and grandparents’. (Opinions vary as to where the millennial generation technically begins and ends, but the Pew Research Center defines it as those born between 1981 and 1996. Buttigieg was born in 1982.) This group not only leans heavily Democratic, but emphatically leftward. Of course, they overwhelmingly tell pollsters, gay people should be able to marry. Of course black and brown people have been shortchanged throughout history and continue to be. Of course immigrants do nothing but make the country stronger. Of course the government owes every citizen decent health care. And of course climate change is humanity’s greatest peril. 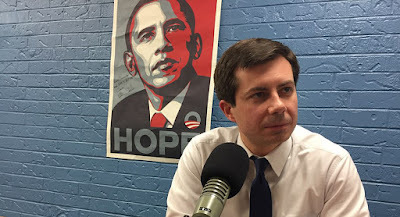 “The center of gravity of the American people is way to the left of the center of gravity of Congress and, in many ways, to the left of the national Democratic Party,” Buttigieg had told me earlier in the year. That’s especially true of millennials. Their political outlook is shaped by being the first post-World War II generation to face diminished economic prospects, and also the first to fully experience the diminished quality of life wrought by decades of tax-slashing, privatization and deregulation: inefficient social services, unaffordable child care, crummy roads and trains and public transportation, slow Internet speeds, and a rapidly warming Earth. Buttigieg’s peers are eager to embrace a politics that’s bigger and more ambitious-- more New Deal than New Democrat. They want swing-for-the-fences solutions from politicians who don’t pretend that all the country needs is just some minor tweaks. Total burn on Biden and his Warren G. Harding "back to normalcy" campaign! But Moser found him coming off "like a combination Boy Scout and lovable dork" rather than a political hitman. "As a senior and student-government officer in high school," they wrote, 'he won the 2000 JFK Profile in Courage Essay Contest, earning a trip to Boston for the annual ceremony. His subject was as millennial as it gets: Bernie Sanders." Buttigieg knew that if he could make good on his audacious promises, he could also make a name for himself-- which he quickly proceeded to do, beating the 1,000-day target and spiffing up the old plant over the harrumphs of the city council veterans and longtime government officials who couldn’t help resenting the technocratic kid from the fancy schools and the global consultancy. ...Though Buttigieg prefers to label himself-- if he must label himself-- a “progressive Democrat,” he can deliver a spontaneous dissertation on why young Americans say they prefer socialism to capitalism that would do Rep. Alexandria Ocasio-Cortez proud... His 2020 message will be centered on a clean break with the Lite Republicanism that Democrats once embraced. Not much on the specifics of that though but presumably, like all the candidates running as progressives, he'll pick the parts of Bernie's and Elizabeth Warren's platforms he likes and cobble something together. Moser found his "coy about his plans for the future. But on Dec. 20, three days after announcing that he wouldn’t run for a third term in South Bend, he spoke at the annual Progress Iowa holiday party in Des Moines-- signaling his intentions to political observers. In January, he hired Marcus Switzer, Hillary Clinton’s 2016 deputy finance director. And in February, following the release of his book, Shortest Way Home: One Mayor’s Challenge and a Model for America’s Future, Buttigieg plans to strike out across the country on what will likely amount to an exploratory campaign for the presidency. He knows that the effort might add up to nothing more than one more instance of winning by losing-- raising his profile for whatever else might lie ahead. But he’s calculating that the whole bundle of 'firsts' he represents will make him stand out from the pack of senior citizens-- Joe Biden, Elizabeth Warren, Bloomberg, Sanders-- and the football-team’s worth of middle-aged members of Congress harboring White House dreams. When Moser mentioned that the day before, Biden, on his own book tour, had proclaimed himself "the most qualified person in the country to be president," Buttigieg laughed. "So was Hillary," he says. First: "He’d endorsed Hillary Clinton after her nomination in 2016, as any aspiring party leader must"
says it all about why the democraps are forever lost. Someone you admire for his innovatively courageous approach is playing by the same corrupt casino rules as the Clintons, obamanation and the blue/news. And Bernie. And Elizabeth. And AOC, though she endorsed Pelosi instead of a Clinton. then you admit: " In January, he hired Marcus Switzer, Hillary Clinton’s 2016 deputy finance director." A fresh face, new hybrid approach... yet he endorsed $hillbillary and hired her DFD. 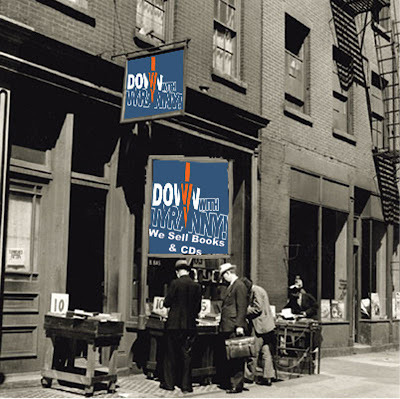 I know another boilerplate democrap opportunist with ambition when I see one. bill Clinton. obamanation. $hillbillary. biden. they're all the same. they'll try to lie a little better than the predecessors who **ALL** failed spectacularly, but underneath it all, they're all the same. What did someone call Clinton once... Pander Bear?? DWT, the title of this post says much more about YOU and what you stand for, then it does about Buttigieg.